You wouldn't order a grinder in New York any more than you'd request a sub in Boston. Residents of both states might understand your sandwich order, but using the wrong lingo is a surefire way to discourage customers from clicking on your mobile app. Cross outside the U.S. borders and the need to use local language, including slang, only increases; get something translated incorrectly and it could be illegible, incorrect, or offensive. If businesses don't work with regional experts or truly know a nation's preferences they come across as arrogant, uninformed, or both. Words, though, paint only half the picture. Equally important: Cultural innuendos, monetization differences, and personalization expectations vary in each nation and region, and marketers should tailor their messages accordingly. 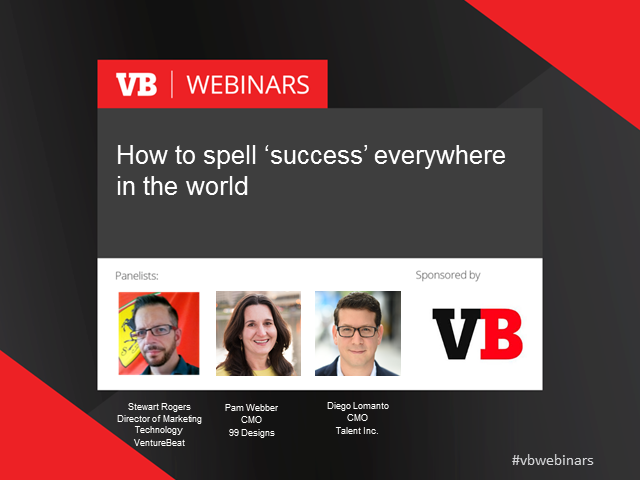 The VentureBeat Insight webinar, "How to Spell Success Everywhere in the World," discusses the steps marketing pros can take to build an international message that cements their brand while tailoring it to specific regions. Join VentureBeat Insight at 10 a.m. Pacific / 1 p.m. Eastern on Wednesday, January 13 for the webinar "How to Spell Success Everywhere in the World." Sign up now from anywhere (with Internet).